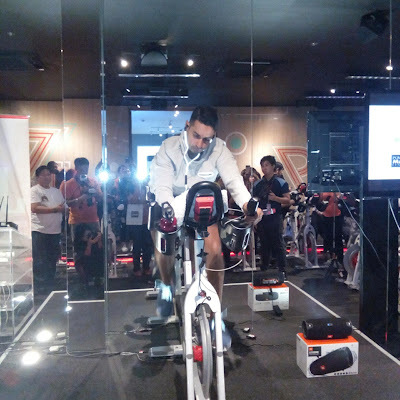 The Ride Revolution room of Steps Dance Studio in Makati City was recently filled with people from the media and some sports enthusiasts to witness the unveiling of the latest in sports earphones from JBL. 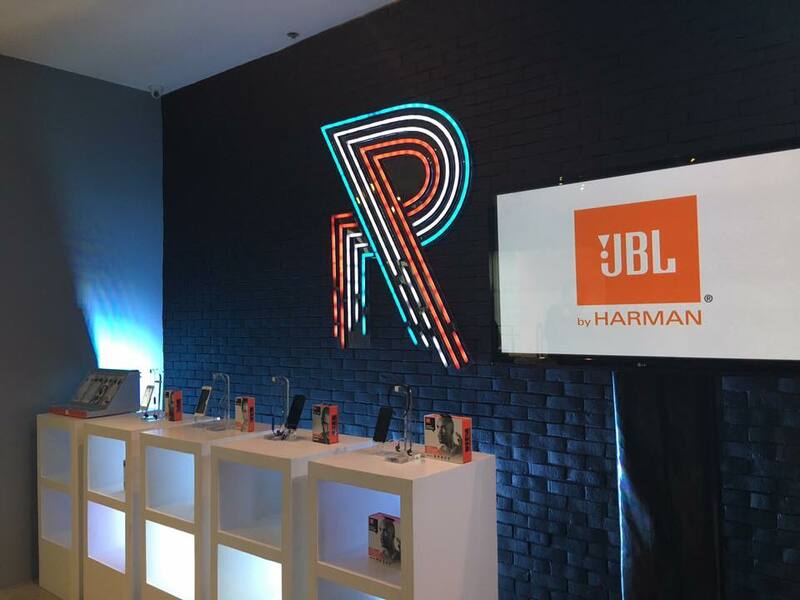 Power Mac Center Philippines has teamed up with Harman, makers of JBL products to introduce their new top-of-the-line in sports earphones. JBL Reflect Aware is the first sport earphones with noise cancellation and adaptive noise control specifically designed to match your iPhone 7 and iPhone 7 Plus. Sport buffs prefer earphones with less or no external noise distraction thus, this JBL Reflect Aware was created with this idea in mind. The earphones were tried hands-on by the media group as they were guided and mentored by Ride Revolution’s Fitness Ambassador, Ms. Ida Paras. Also, the presentation of the product’s commercial video and donning the actual spin at Ride Revolution was staged by celebrity emcee, Sam YG. Later on, JBL Reflect Aware’s new ambassador was introduced. She is no less than the Star Magic’s Sofia Andres, who is famous for her roles as Athena Abigail Dizon in “She’s Dating the Gangster” and Sari in “Relaks, It’s Just Pag-ibig”. 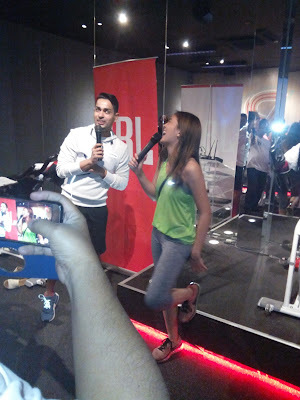 Sofia joined the crowd and was also amazed on how great the new JBL Reflect Aware works. 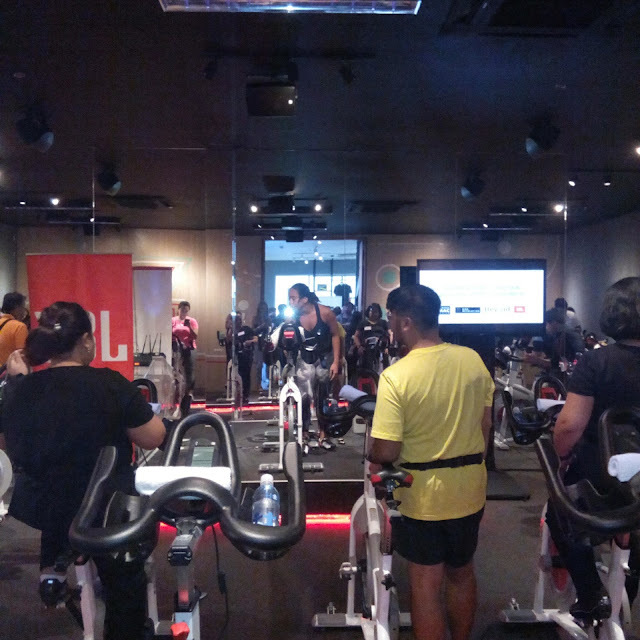 Fitness and sports fanatics will surely love what they do even more with the JBL Reflect Aware, where they can do their routine workouts while listening to their favorite music AND without any noise distraction from the outside. JBL Reflect Aware earpieces with lightning connector are valued at Php 8,490 and are now available in Power Mac Center stores. For more information please check www.powermaccenter.com or on Facebook, Twitter and Instagram as @powermaccenter.